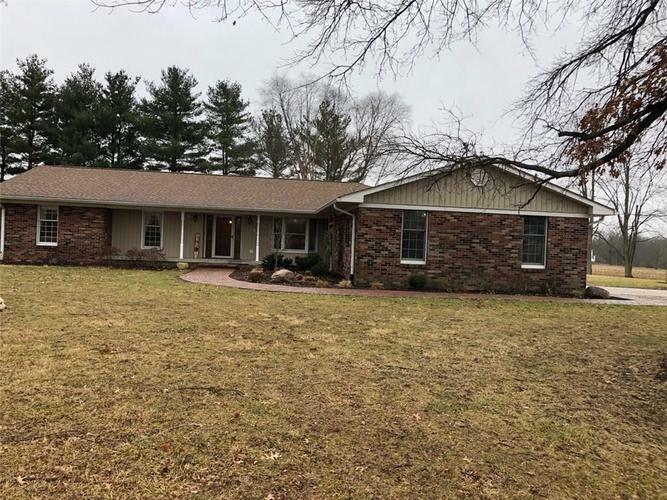 Hard to find impeccable 4 bedroom 2.5 bath, 2306 sf brick ranch. Roof 2011, water softener 2012, water heater 2014, heat pump 2018, well pump/tank 2009, siding, soffits and gutters 2013, composite deck 2016 and garage door and opener in 2013. All big ticket items have been replaced! Pristine spacious kitchen. Family room with gas log. Lots of storage space. Beautiful setting. A true must see. Directions:Michigan Road (SR 421) to SR 38. Turn West on 38. Approximately 5 miles on the left.